The versatile defender had missed the opening stages of the campaign with a knee injury and the same has hampered him under Ole Gunnar Solskjaer which has kept him out of recent matchday squads. 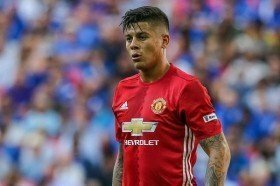 According to The Telegraph, United are prepared to offload some of the deadwood at the end of the season and Rojo is among the leading names, who could make way from the club. Victor Lindelof, Chris Smalling, Phil Jones and Eric Bailly are the other central defensive options within the squad and the club are expected to pursue another recruit in the next six months. Meanwhile, United are currently on a six-match winning streak across all competitions and the run has put them within six points of Chelsea, who are holding the final Champions League qualification spot.